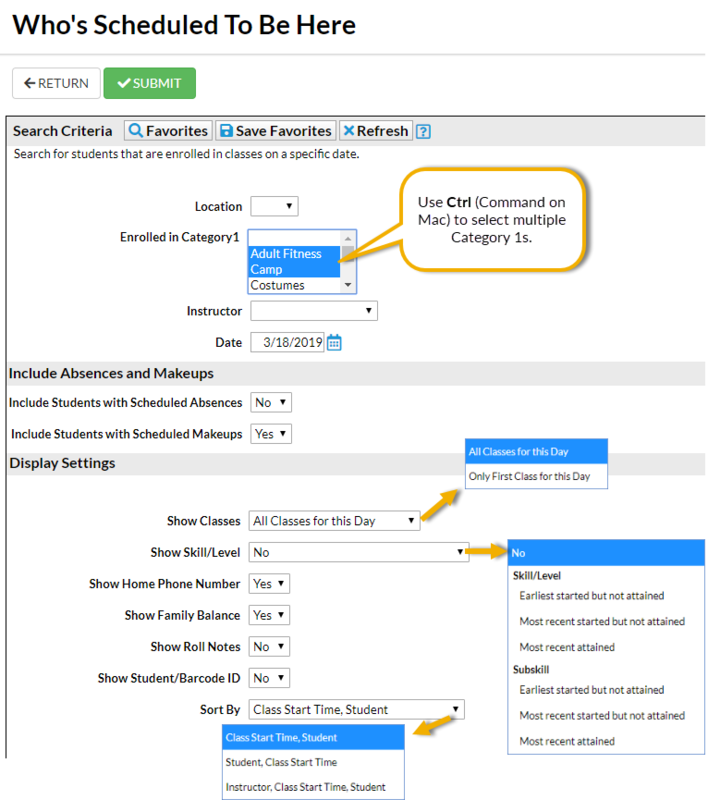 Located under the Students menu, the Who's Scheduled to be Here report offers a quick way to list all students enrolled in classes on a specific date. This report can also be accessed from the Reports menu, in the Families/Students section. 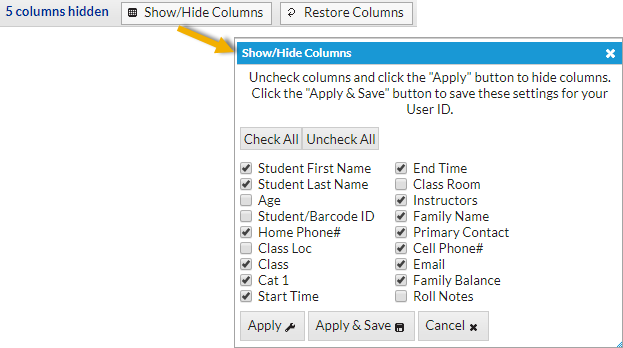 If your database is set to track attendance, and not absences, the Include Absences and Makeups section will not be included in the criteria options.